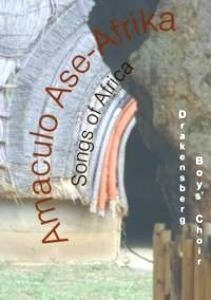 Full of rhythmic energy, true professionalism and at the same time a genuine youthful innocence, the Drakensberg Boys Choir brings to life several traditional African songs in their newest DVD, Amaculo Ase-Afrika. The choir is as visually captivating as they are aurally pleasing; each song is accompanied with perfectly synchronized choreography, almost militaristic with a playful relaxed feel that truly delights their audience. Their director of music, Christian Ashley-Botha, describes this movement as “marching with swagger!” Often choreography is an afterthought in choral music production, particularly in the North American tradition. We learn a piece of music, and once we master it, only then do we add the choreography. However, here movement and music emerge as one. Their perfectly in sync movements never distort the ensemble’s healthy vocal production. The DVD is framed with a traditional greeting song, “Morokeni” and closes with a farewell song, “Siange”. Selections in between range from South African stomp dances, to percussive riffs played on traditional African drums, to large often unaccompanied staged numbers. Each piece has a raw organic flare; nothing about their performance seems manufactured or contrived. As one boy states, “African music just comes naturally to us.” The syncopations that are inherent in the South African culture come naturally to the ‘Drakies,’ as they are called; the rhythm, movement, and vocal production emerge as one. The combination of these three elements is what distinguishes their performance among many other boys’ choirs around the globe, such as the esteemed Vienna Boys Choir, for example. The group is almost entirely student run; though they have a conductor, Rudolf de Beer, and a director of music, Christian Ashley-Botha, their repertoire is a convergence of music that students present and teach to the group from their own native cultures. In addition, they select repertoire from a library of African music. Favorites are passed down through the ensemble. A typical rehearsal is described as someone saying, “Hey, let me show you how this goes.” Groups then form around song leaders who teach the piece to their peers. This democratic approach to teaching and performing music is inclusive, accessible, and most importantly fun. I recommend their DVD for any music teacher, but particularly those who struggle to recruit boys in their ensemble. This DVD teaches us that music can be fun. The boys’ captivating performance would make any young boy want to join in the excitement. The advent of popular a cappella music is a widespread phenomenon around the world. 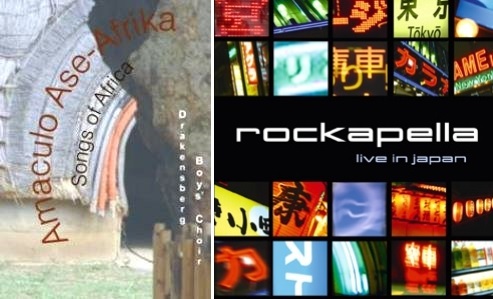 Since its birth, Rockapella was, and continues to be, at the apex of its development. 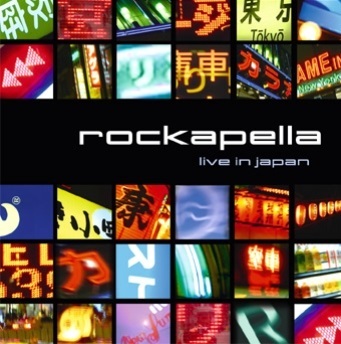 Live from Japan is an essential addition to any vocal music CD collection; its repertoire is a collection from the group’s recent tour to Japan, and represents the best of contemporary a cappella music. Both refined in technique and well versed in a multitude of musical styles, they continue to delight audiences all over the globe with their music. These musical masters scout the world for the best talent; while their cast of characters has for the most part changed since their founding, their high music standard has remained the same. The group consists of only five members: Scot Leonard, John Brown, Steven Dorian, George Baldi and the acclaimed beat boxing percussionist Jeff Thatcher. Those who have been to a Rockapella concert know their catch phrase, “We make our music with our mouths.” Percussionist Jeff Thatcher leads the world in rhythmic vocal percussion. 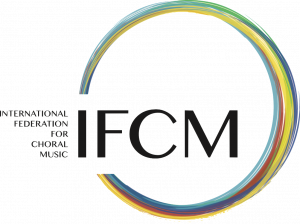 At first listen, you will not believe that the instrumental accompaniments are produced by human voices; their entrancing music is made entirely by themselves. Rockapella successfully breaks down the perceived pretentious barriers of vocal music, and exposes their audiences to good quality fun repertoire. This particular collection of tunes is filled with upbeat musical gems: Love Potion #9, Pretty Woman, Zombie Jamboree, My Girl, among many others. Rockapella teaches us that music can be fun, cool without sacrificing vocal quality. This CD holds my highest recommendation. Do you have a CD that you would like reviewed in the journal? Please contact me at jonathan.ryan.slawson@gmail.com.